With Morgan Spurlock best known for making hard-hitting documentaries such as Super Size Me, now he is making, more conventional, feature films. Described as a "docudrama" with a "3D concert" bolted on. So in other words we have something like a mix of Jonas Brothers: The 3D Concert Experience with some footage from The X Factor to fill it out to 90 minutes! 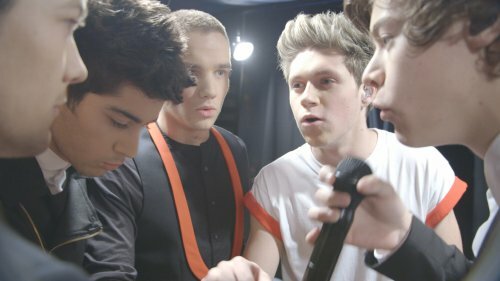 ONE DIRECTION: THIS IS US will be part docudrama and part 3-D concert movie, telling the story of the five members' origins -- how they were put together by Simon Cowell after they all competed on The X-Factor (in the UK), meet their families, explore their dreams, and delve into what their meteoric rise to fame feels like. 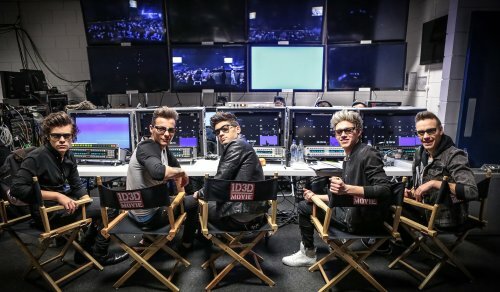 The movie will also be a bit of a love letter to One Direction’s loyal fan base. One Direction – Niall Horan, Zayn Malik, Liam Payne, Harry Styles and Louis Tomlinson – were discovered by Simon Cowell on the U.K.'s "The X Factor" in 2010. The band quickly gained a following to become one of the competition's all-time most popular acts, finishing in the final three and garnering a gigantic and loyal fanbase along the way. In March 2012, One Direction's debut album, "Up All Night", made U.S. history, as it was the first time a U.K. group's debut album entered the U.S. Billboard 200 chart at No. 1. The band has sold over 29 million records worldwide. In November 2012, One Direction released their sophomore album, "Take Me Home", which includes the No. 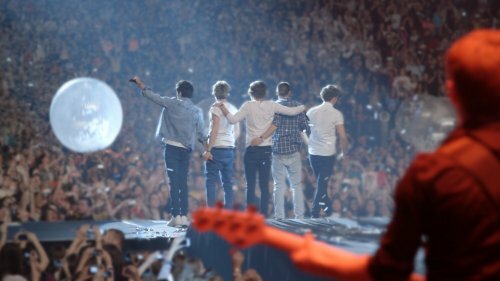 1 single, "Live While We’re Young", and are currently on a sold-out world tour.